This is one of the greatest time and frustration savers in our entire shop! 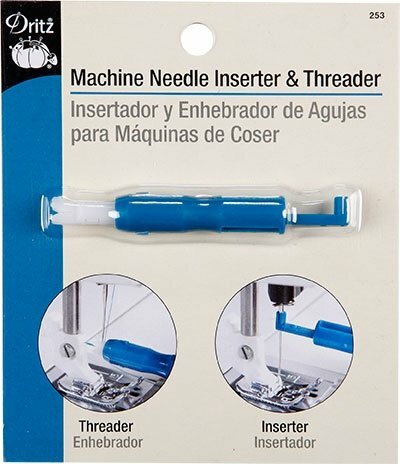 The Needle inserter holds your needle steady for easy insertion and removal from the machine. It is ideal for specialty threads. The Needle threader reduces eye strain and threads needles quickly.